The first output of the research teams is a State of the Art document, which is an analysis of the current state of the field researched. It includes a literature review, based on the hypothesis developed in the research proposal. This first stage will provide the basis upon which the field work and the analyses will be built. This study researches the differentiated use of ICTs by migrant women domestic workers' organisations in Hong Kong and Taiwan, two regions presenting contrasting situations in terms of migrants' political organisation. This document maps the different uses of mobile phones for migrant women domestic workers' organisations against the backdrop of differentiated policy environments, and their impacts on migrant populations. Against the background of the shift of socio-technological paradigm, this study attempts to explore the dynamics of the insurgency of multiple counter and alternative public spheres in the context of Chinese societies characterised by authoritarianism and post-colonial power. 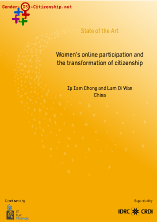 It focuses on women organisations and activists, their uses of new media and online platforms and their implications for citizenship. The present study seeks to explore the possibility of developing such a knowledge network of women elected representatives of local governments in Kerala. The effort towards developing and engendering of knowledge networks opens up avenues for these women to freely articulate and share their experiences, concerns and knowledge with the possibilities of its further enrichment as the same pass through an array of network users, which might potentially be leading them to critically engage with wide-ranging arenas not only pertaining to governance processes, but also to wider public life. 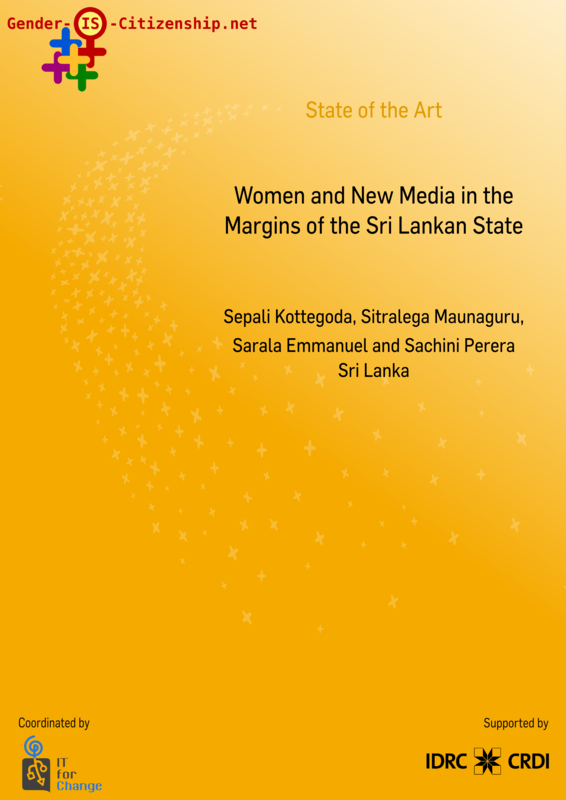 This research explores women's engagement with two initiatives using new media at the local and national level. At the local level, the team is studying Minmini News, a network of rural women in Batticaloa district, and its impact on women's access to knowledge and their empowerment through shared information on socio-political events along with their active engagement with socio-political structures and spaces. At the national level, they are analysing the new media campaign launched by the Women and Media Collective, which focuses on the importance of increasing women's participation and representation in mainstream politics. The paper shares the history of women's movements in Philippines and their constant struggle with the State in order to access their basic rights. It then, in particular, speaks of the struggle to pass the Reproductive Health bill, which would enable women to have greater control over their bodies and access better healthcare services. In the last 10 years, there has been strong resistance from the Church and the Government to pass the bill. 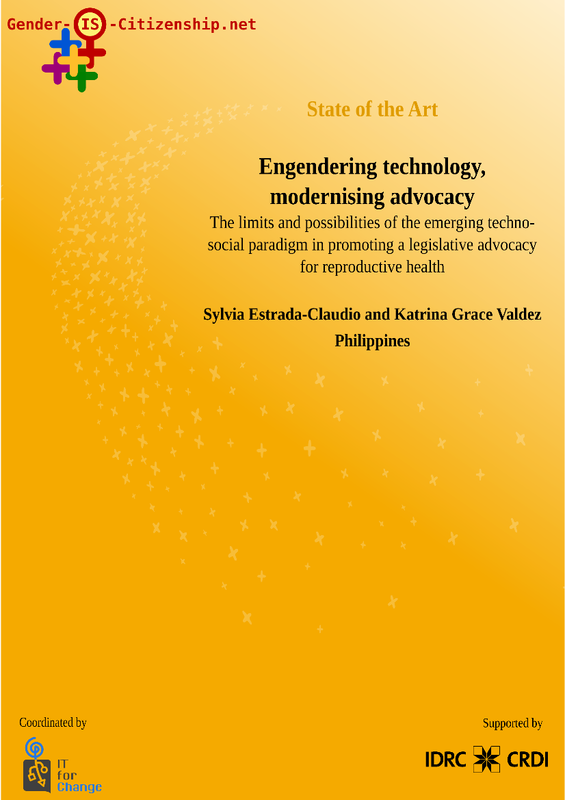 The paper discusses the possibilities new ICTs open up for the marginalised women, youth and the movement - to voice their dissent and propagate the demand for progressive reproductive health related laws. 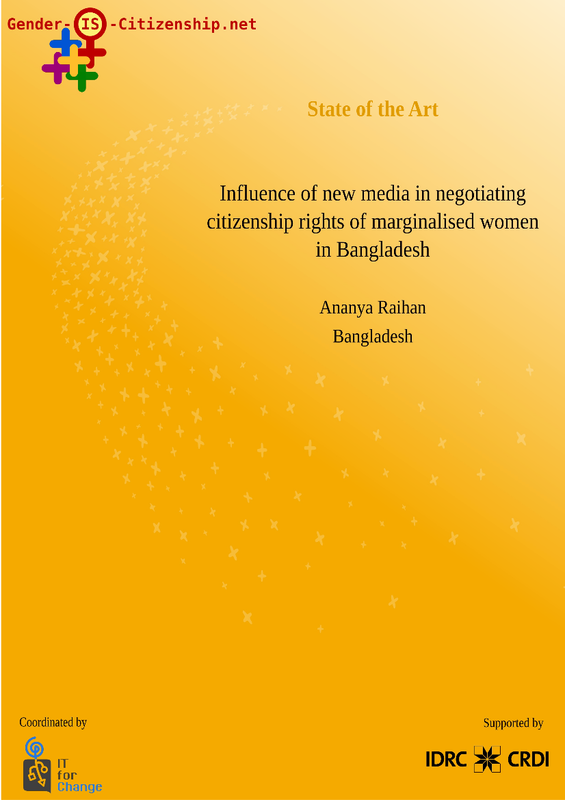 The paper begins by capturing the landscape of ICTs currently emerging in Bangladesh in parallel to the progress of the women rights agenda in the country. It then moves on to explore the possibilities ICTs have to offer women in enabling them to express and negotiate their citizenship and rights within the democracy. 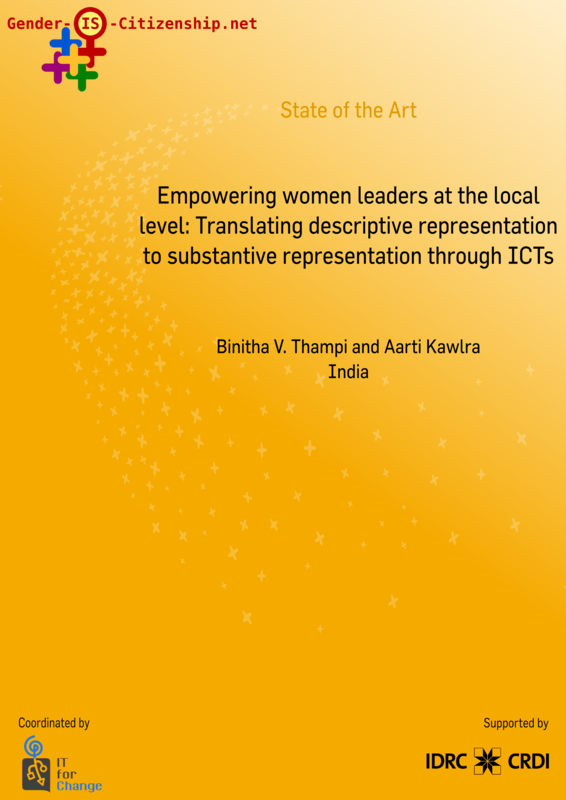 It visits in particular the method of involving women as agents of change in the form of 'infomediaries' and outlines the outcomes of such an approach to empowerment. It also visits questions on how new media can be effectively utilised by women to create a new space for exercising citizenship.